The F-35 stealth fighters were grounded Friday due to five incidents since May 2 in which pilots experienced hypoxia-like symptoms. The F-35 comes in three versions, with the "A" model being that of the Air Force. Washington, United States: The US Air Force has temporarily grounded dozens of F-35 stealth fighters while it investigates an oxygen supply issue aboard the expensive planes, officials said Monday. 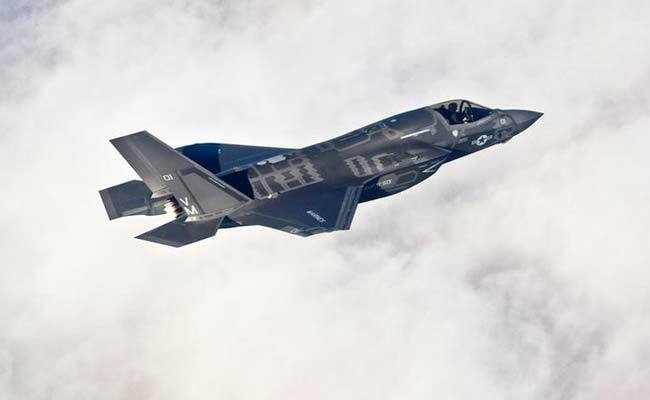 The 56th Fighter Wing of Luke Air Force Base, Arizona "will continue their pause in local F-35A flying to coordinate analysis and communication between pilots, maintainers, medical professionals and a team of military and industry experts," spokeswoman Major Rebecca Heyse said in a statement. The planes were grounded Friday due to five incidents since May 2 in which pilots experienced hypoxia-like symptoms. Currently, the Wing has 55 F-35A planes that are used to train pilots from the US and other air forces that are buying the jet. Heyse said it was unclear when the "pause" would be lifted, but noted that none of the incidents were serious and pilots were able to use their training to avert any problems. "The safety of our airmen is paramount and we will take as much time as necessary to ensure their safety," she said. Another spokesman, Captain Mark Graff, said in a statement that a backup oxygen system kicked in as designed. The Marines have a version that can land vertically, and the Navy's variant will be able to land on carriers. With a current development and acquisition price tag already at $379 billion for a total of 2,443 F-35 aircraft -- most destined for the Air Force -- the F-35 is the most expensive plane in history, and costs are set rise further still. Proponents tout the F-35's radar-dodging stealth technology, supersonic speeds, close air-support capabilities, airborne agility and a massive array of sensors giving pilots unparalleled access to information. But the program has faced numerous delays, cost overruns and setbacks, including a mysterious engine fire in 2014 that led commanders to ground planes until the problem could be resolved. Other problems include software bugs, technical glitches and even a faulty eject system that risked killing pilots who weighed less than 136 pounds (62 kilograms).